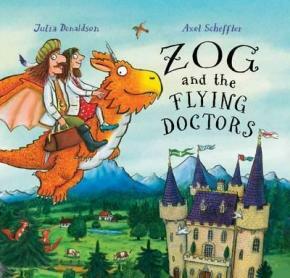 Meet the Flying Doctors: Princess Pearl, Sir Gadabout and, of course, their trusty 'air ambulance', Zog the dragon, in this fabulously original sequel to the best-selling ZOG. There's much to do, as they fly around tending a sunburned mermaid, a distressed unicorn and a sneezy lion. But should princesses really be doctors? Pearl's uncle, the King, doesn't think sountil he himself falls ill, and only Pearl knows how to cure him.